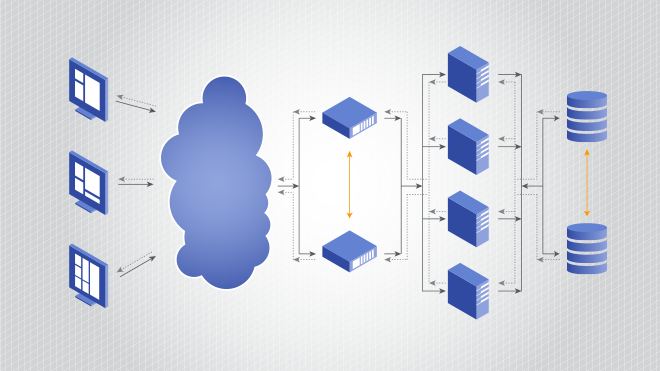 Our systems are designed with high availability architecture in mind. You can expect these systems to be accessible 24/7 for continuous availability and withstand the load of millions of visitors per day. They usually require the implementation of custom-built technical solutions to meet user needs and guarantee stable functioning of the whole company. High availability computing systems architected by Remsys are seamlessly designed to continuously process and manage the stacking bundle of workloads even when one or more of the components fail. This is possible through the continuous high availability testing we put into these systems. Remsys is dedicated to providing computing systems with high availability service. High availability systems, architected by Remsys are seamlessly designed to continuously process and manage the stacking bundle of workloads even when one or more of the components fail. According to Wikipedia, high availability is defined as a “characteristic of a system, which describes the duration (length of time) for which the system is operational”. Highly available systems are those in which the operations are available for a minimum duration for a specified amount of time which is typically a year. In order to achieve optimal operations for our systems we conduct high availability testing. As part of the comprehensive examination we look for ways we can improve the client’s system and how we can provide a high availability architecture that will provide continuous availability with minimal downtime. In order to forecast the peak loads of a system we must use test data as part of our high availability testing procedures to ensure the system can handle a substantial workload. In order to provide high availability computing we design the system and make suggestions for clients to improve their current network. If the client is unsure of how their system can be improved or if they don’t have a list of high availability requirements we can assist with that. Our high availability service has left our clients satisfied and willing to return to us for future services. High availability clustering is the method Remsys uses to minimize system downtime and provide continuous service when any of the system’s components fail. Without using a high availability cluster, system components can fail when an application server crashes. High availability clusters solve this problem by detecting which server failed and immediately restarts the application on another server without intervention by a server administrator. With a decade of accumulated experience, Remsys successfully implements high availability solutions for various projects: ranging from large online retailers to vast websites with multimillion audiences. We are able to meet demanding high availability requirements from our clients. Depending on the objectives, the time-frame and the completion level of a project, our clients can choose different options for cooperation. Fixed price - development of the turnkey project or its individual components with technical specifications drawn by Remsys engineers. Hourly rate – a great way of cooperating with Remsys, when only a partial revision of individual components for a project is required. Continuous support – this type of cooperation is used for a long-term collaboration and includes a significant amount of work performed by Remsys, throughout the life cycle of the project. Whether you just started to plan ahead or are already battling the issues of the increasing workloads, Remsys can help you to control and effectively solve any high availability challenges coming your way. Our high availability services are designed for those who plan to launch a high availability website, network, data center, or network storage service. Our solutions work with virtually any OS. The system controls we build will effectively solve any high availability challenges you may face such as high availability disaster recovery. Get in touch with us today to see how we can help. Learn how Remsys designed and implemented a high availability system for Turbobit, supporting the company's sustainable business strategy.